Notoriously, there’s a great deal that wine-labels don’t tell us – notably any of the allowed additives in the wine, from Ammonia to Yeast (let’s hope there’s never anything with a Z!). And there’s crucial information that may not be quite true: a tolerance of 1% for alcohol is allowed, and the wine need contain only 85% of the grape variety and vintage date stated. A little leeway might arguably be justified, but 15% is so over-generous as to be misleading. It’s vintage I’m concerned with here, prompted by a tasting I organised last weekend for my regular tasting group. 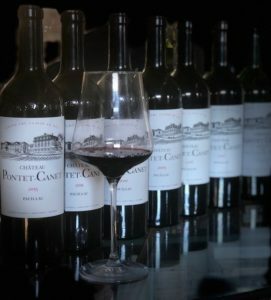 We had seven fairly youthful vintages of a highly regarded (and expensive) Bordeaux, Château Pontet-Canet: 2002, 2007–2011, 2015. They were served blind, along with one “outsider” – Château Gloria 2010 – with the tasters only knowing that the wines were from Bordeaux. All were good to excellent, but showing distinct differences in character and quality. There was a lot of agreement about which were the most impressive, and most people picked out the outsider, but no-one came close to suggesting that the rest were all from one property. No need to go into that here. This tasting group consists of wine professionals with quite a bit of experience, but being extremely well informed about upper-end Bordeaux and how it matures is difficult and rare anywhere these days. My point is really about those variations – in quality terms endorsed by the range of scores that different Pontet-Canet vintages get from the main international critics (2009 got a good handful of 99- and 100-point ratings, with 2010 and 2015 not too far behind). I reckon there was much more depth of variation than there would be in a tasting of, say, Kanonkop Paul Sauer from the same vintages. And I think we could extrapolate that comparison to many other wines from classic Europe and the Cape. Why? Well, such things as irrigation in the vineyards and acid adjustments in the cellar can do a great deal towards smoothing out vintage variation (there’s less such intervention in grand Bordeaux, certainly at a biodynamic estate like Pontet Canet; and irrigation is banned there). 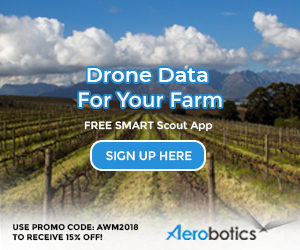 And the climate in more northerly parts of Europe is more variable, leading to greater differences in conditions for ripening grapes – though improvements in agriculture even more than global warming have made very poor vintages virtually obsolete. Although we have become much more aware in recent decades of differences of vintage in South Africa, we wine drinkers still don’t pay a great deal of attention to this aspect, usually confining ourselves to a few generalisations – often gliding over the radical differences that one would expect between, say, the conditions for Chenin in the Swartland and those for cabernet in Stellenbosch. But almost certainly, in fact, such generalisations are more valid here than they would be in more marginal climates. 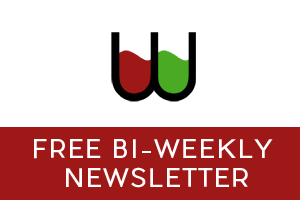 The introduction to a World of Fine Wine report of a recent tasting of 2017 Bordeaux included something like 1500 words describing and discussing the minutiae of conditions for the growing season and the harvest in different parts of the region. The equivalent is not going to happen in South Africa. One reason for the difference is that Bordeaux has been observed and discussed for hundreds of years, and the effects of seasonal conditions on the wine (youthful and aged) are much better understood than they possibly could be here. I hope we’ll be getting there as we learn more. But how much, in fact, do South African winemakers respect the concept of vintage and the fascination of vintage difference? That matter of the “85% rule” is relevant. It’s not just here that it applies, of course; it’s possible that some European appellations impose tighter regulations, but for the EU as a whole it does apply; only the USA, as far as I know, requires 95% compliance – and only for wines declaring the origin in an American Viticultural Area. The reason to blend in a fairly substantial amount of wine from another vintage is primarily to maintain consistency of style. So it’s mostly used for the bigger “commercial” brands, rather than for the fine wines whose customers expect a degree of vintage variation, for better or worse. But “back-blending” is used rather more often by smart producers than the innocent wine lover might suspect. A few years ago I was rather shocked when a winemaker of the youngest generation, whose work and devotion to expression terroir I much admire, told me that he would next harvest pick a parcel of syrah very early, to back-blend into a vintage that was rather lacking acidity and freshness. He didn’t seem to think of vintage character as being part of terroir, as I did, and do. I was pleased later to learn that he’d changed his mind. But there are more than a few local winemakers of great repute who take advantage of the 85% rule to ameliorate some problematical aspect of a particular vintage. That’s fine and perfectly acceptable as well as legal – but then, whatever the yeasts and enzymes and new oak flavours they don’t add, they mustn’t talk proudly about minimalistic winemaking and respect for what the vineyard gives them. They’re on that slippery slope of using justifications for making the wine “better” by radical fiddling with what a particular piece of land offers in a particular season. Thank you for once again an insightful article. I personally am a big admirer of Pontet Canet and as a curious person would like to know which vintage stood out and which one was on the day unfortunately last. Wine is not made in the vineyard only but also in the cellar. I think the skill of the winemaker is under-appreciated. It is very important that the law allows winemakers to intervene and make adjustments. Wine is not only nature but also man. But yes winemakers need to be honest about what they do. Hi Smirrie – We didn’t really attempt to rank the Pontet-Canet wines, let alone score them. By the way, they had been double-decanted a few hours in advance of the tasting, and were poured at about 15°C. But 2009 got the most votes as top, in a quick show of hands, followed by 2015 and 2010. I was able to retaste them all a day later, and changed my top vote to the 2010 because it was revealing new depths, while the 2009 was a bit smug in all its showy ripeness! There was a bit of a problem with the 2011 – we disagreed about whether it was a touch of TCA, but there was definitely something a bit dirty, although it was still quite impressive. But hopefully just a one-off bottle problem (I haven’t seen anyone else remarking on it). 2007 OK and 2008 pretty good. 2002 probably the least of them, from a rather weak vintage, but still attractive and youthful. In fact the youthfulness of all the wines was impressive – certainly these are wines for ageing 30 or 40 years at least. That 2015 will be magnificent long after I am dust. Incidentally, if you’re rich, you can buy the 2014 and 2015 from Wine Cellar at R2300 a bottle. Which is very much more than anyone else has to pay, in accordance with the ridiculously high premium we have to fork out here for Bordeaux (more than most imported wine, for whatever reason); rather buy a bottle anywhere else in the world, if you’re travelling…. Hi Tim. Only touching the skin!Arguably the biggest challenge for a winemaker playing in the “Major Leauge” is to show the vintage in the bottle. Stylistically there should be very little if any variables from vintage to vintage. Is it not primarily terroir at play? And this should also be indicative to wines of 30 years plus. Never buck with style and stay true to vintage….. J(ohan?) – you are right of course, at least in theory. But I could easily imagine a vertical tasting of Kanonkop where the tasters only knew they were all South African, but presumed they were all different – so they start looking for the differences rather than the similarities, and just don’t get the answer…. And of course different producers make very different products out of the same terroir – the most vivid experience I’ve had of that was of a tasting of wines from Clos St-Jacques in Burgundy (I wrote about it here: https://winemag.co.za/tim-james-pinot-noir-and-terroir-in-the-hemel-en-aarde). Terroir is a difficult thing to believe in sometimes! Though I frequently manage it, with a gulp or two…. would be interesting to know about when the Kanonkop style (as we know it today) first emerged? was it from the first vintage (1973?) or did it take a couple of years to develop?